August 14th in Wordpress Plugins by Wordpress Jedi . Many webmasters have a ton of screenshots on their website. Whether you are teaching others how to do things or review products for a living, you could always use certain tools to add screenshots to your site faster. 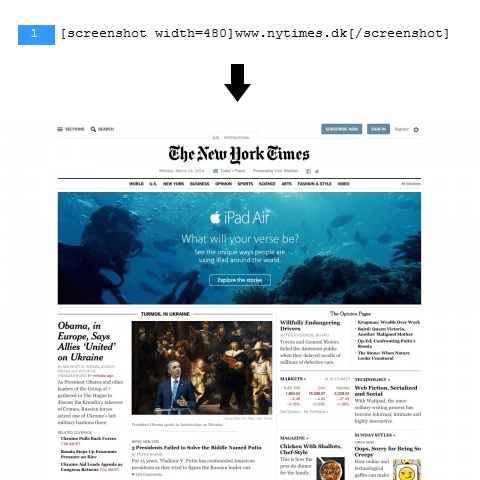 WP Screenshot happens to be a handy plugin with a simple shortcode you can take advantage of to add website screenshots to your posts and pages. The idea here is simple: let’s say you are creating a list about 10 sites that stand out in a market. You can take their screenshots manually and add them to your site by uploading them. This plugin makes the process a lot easier. Just use the screenshot shortcode, add width, and provide the appropriate URL. WP Screenshot could work great for portfolio sites and directories. It wasn’t always fast based on our tests, but it did what it promised for the most part.